Florida PlanGrid Breaks Gridlock | Grunau Company, Inc.
Grunau’s Orlando fire protection office began a new process for providing drawings, specifications, labor breakdown, test papers, stocklists, scope of work and any other documents that are normally provided in the “foreman’s packet”. They are now using the construction app called “PlanGrid”. Also Grunau’s safety-related documents can be found on the Florida PlanGrid app including site specific safety plans, daily huddles, JHA (job hazard analysis), and PSI (pre-job safety instructions). 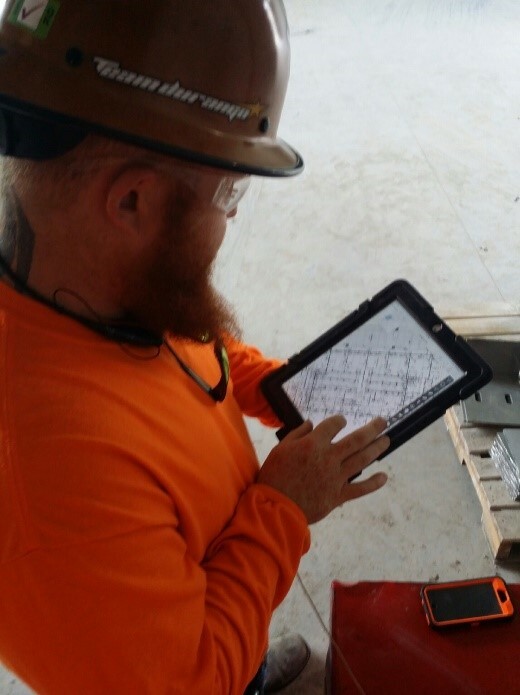 Small tablet computers were consequently purchased for each foreman in Orlando to utilize this software. Now all the most current documents are literally at the foreman’s fingertips. We are monitoring this pilot project and will then make adjustments as needed. Grunau is breaking the gridlock of doing the same thing over and over by using this new Florida PlanGrid process. This software and new process greatly improves communication and keeps work variation to a minimum. Continuous improvement and eliminating waste, that’s what Lean Construction is all about!